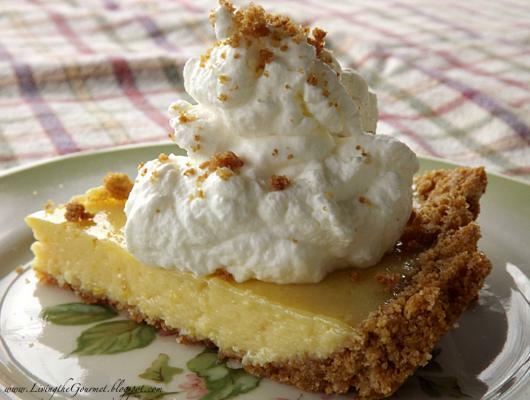 Foodista | Recipes, Cooking Tips, and Food News | Key Lime Pie!!! Mix cracker crumbs, sugar, cinnamon, and butter. Press into a 9-inch pie plate. Beat together milk, egg yolks, sugar and lime juice; pour into crust. Bake pie for 18-20 minutes or until filling is set. Let cool, and refrigerate before serving. For whipped topping, in the bowl of your electric mixer, beat cream until soft peaks form. Add confectioner’s sugar and keep beating cream until peaks are stiffer. Serve each slice with whipped topping.